Cuadro Summum Stealth Evo alloy 6061, hydroformed tubes, Zero susp. system, 205 mm travel, Forward Geometry, Rear Axle 12 x 150 mm. Horquilla Fox 40 27'5 Float FIT4 LSC EVOL Performance Elite 203 mm, 1-1/8", axle 20 mm. Settings: compression low speed, rebound. Juego de dirección Onoff Mercurium 1,5 ZS for headtube 1-1/8". Sealed Bearings ACB 41 x 30,15 x 7 x 45° x 45°, Ext. diam. 56 mm. Cambios Shimano Zee SL-M640 10s. 2-way Release. Desviador trasero Shimano Zee RD-M640-SS 10s. Technology Shadow Plus. Sillín SDG I-Beam I-Fly 2.0. Tija SDG I-Beam SP-751 en alliage 31,6, lenght 300 mm, micro-adjustement. 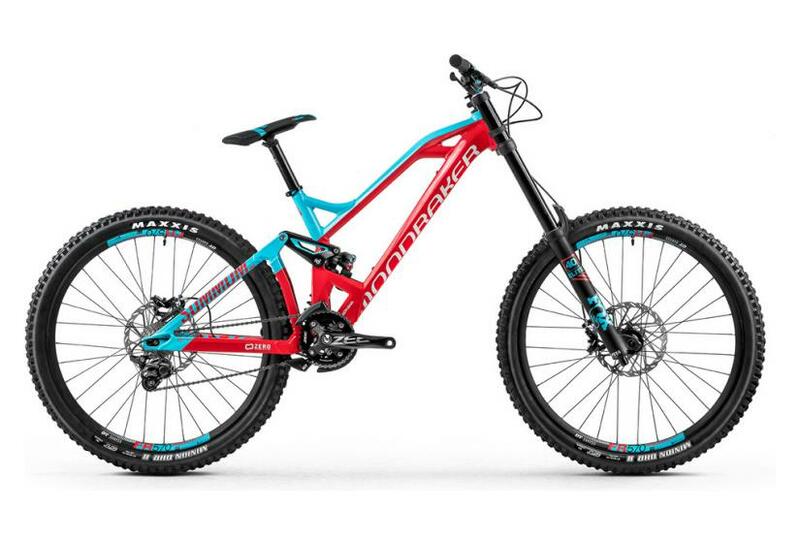 VTT Tout-Suspendu Mondraker Summum Pro Shimano Zee 10v 27.5'' Rouge / Bleu 2018 clasificado 5.0 de 5 por 1.